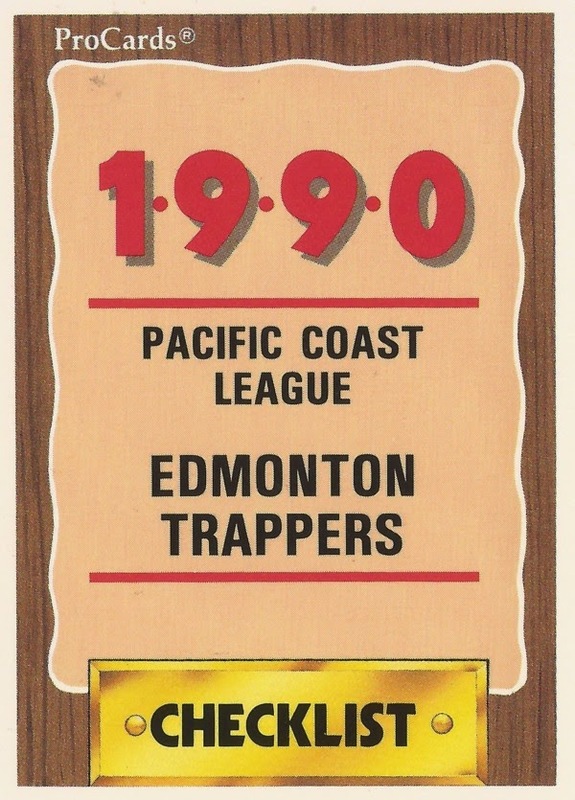 Features on each member of the 1990 Edmonton Trappers, AAA affiliate of the California Angels. Players are as included in that year's team set. Click on the player's name to read more. 1- Karl Allaire: Karl Allaire was a journeyman minor leaguer. He played nine seasons, but never made the bigs. 2 - Chris Beasley: Chris Beasley preferred basketball to baseball. Passed over by the NBA, he later made the majors. 3 - Gary Buckels: Gary Buckels got enough outs as a reliever to make the majors, but not enough to stick. 4 - Tim Burcham: Tim Burcham played 10 seasons as a pro, mostly in the Angels system. He never made the bigs. 5 - Pete Coachman: Pete Coachman admitted he thought about the bigs constantly. He then made it, for 16 games. 6 - Sherman Corbett: Sherman Corbett was a crafty left-hander in parts of three seasons with the Angels, 10 seasons as a pro. 7 - Chris Cron: Chris Cron grew up eating and sleeping baseball. He made the bigs for 12 games. He's now a minor league manager. 8 - Doug Davis: Doug Davis never thought he'd be a manager. He later was a bench coach in the World Series. 9 - Gary DiSarcina: Gary DiSarcina got settled into the Angels starting shortstop job for much of the 1990s. 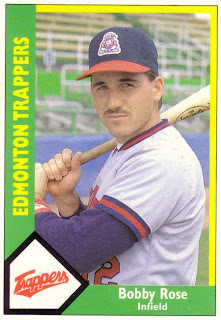 10 - Mike Erb: Mike Erb surfed his way to AAA Edmonton, but he couldn't surf his way to the majors. 11 - Mike Fetters: Mike Fetters was given an opportunity to throw by the Brewers. He turned that into a 16-year career. 12 - Dan Grunhard: Dan Grunhard liked to play the game, he just never got the opportunity to in the majors. 13 - Jeff Heathcock: Jeff Heathcock's mother saw him play at single-A. Many saw him play in the majors. 14 - Chuck Hernandez: Chuck Hernandez developed pitchers his whole career, a quarter century as a coach. 15 - Scott Lewis: Scott Lewis broke his neck, then he made the majors. 16 - Rafael Montalvo: Rafael Montalvo asked for only a chance to pitch. He did so in the majors for a single inning. 17 - Max Oliveras: Max Oliveras managed or coached somewhere for more than two decades. 18 - Reed Peters: Reed Peters never won a championship in the minors. He also never made the majors. 19 - Nelson Rood: Nelson Rood tried to make the majors by just going out and playing the game. He never made it. 20 - Bobby Rose: Bobby Rose revived his career after 1992 Angels bus crash. He did so in Japan, then stayed there for eight seasons. 21 - John Skurla: John Skurla hit a curve to help with a 1984 college win. He later hit curves well enough to make AAA, but not the majors. 22 - Lee Stevens: Lee Stevens played in front of major league crowds for a decade, crowds in Japan for two. 23 - Ron Tingley: Ron Tingley had an up-and-down career. He was up in the majors for parts of nine seasons. 24 - Cliff Young: Cliff Young's best resulted in time in three major league seasons. His best was then remembered at his 1993 memorial.